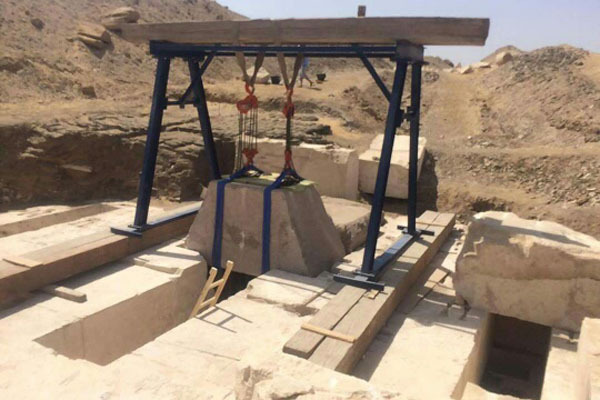 The Egyptian archaeological mission from the Ministry of Antiquities uncovered the burial chamber of a 13th Dynasty Pyramid discovered last month at Dahshur archaeological site. 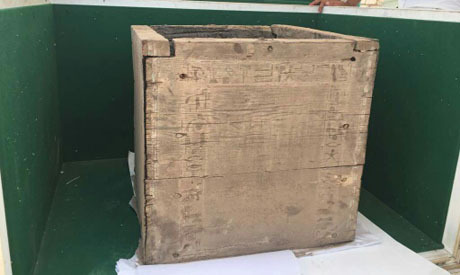 Adel Okasha, head of the mission and the general director of the Dahshur site, explained that after removing the stones that covered the burial chamber, the mission discovered a wooden box engraved with three lines of hieroglyphics. These lines are rituals to protect the deceased and the name of its owner. 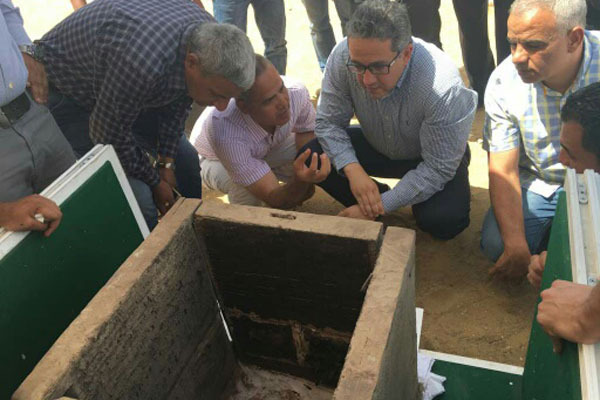 Sherif Abdel Moneim, assistant to the minister of antiquities, revealed that the box housed the four canopic jars of the deceased with their name engraved, that of the daughter of the 13th Dynasty King Emnikamaw, whose pyramid is located 600 metres away. He said that the mission also discovered last month a relief with 10 lines of hieroglyphics bearing the cartouche of King Emenikamaw. Hence the box may belong to the King’s daughter, or one of his family. Inside the box, the mission found wrappings of the deceased's liver, intestines, stomach and lungs. Remains of an anthropoid sarcophagus have been found but in a very bad state of conservation. 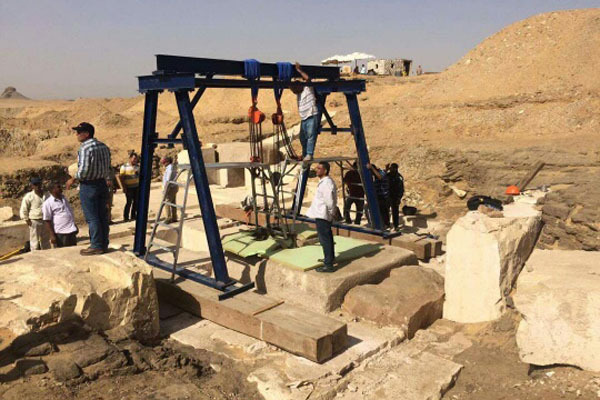 Excavation works would continue to uncover more of the pyramid's secrets. Khaled El-Enany, minister of antiquities, visited the site this morning to inspect the excavation works.